Demand for VPNs that can unblock the American version of Netflix is higher than any other country by far. But did you know that Brazil has a bigger and better selection of movies on Netflix than even the US? While American Netflix is the clear winner when it comes to the hottest TV shows, Brazilian Netflix takes the crown when it comes to movies. In fact, Brazil is one of Netflix’s biggest success stories outside North America. PrivateVPN Unblocks Brazillian Netflix and other popular streaming content with good security and decent speeds. Buffered Easy to set up and use. Good streaming speeds. Good privacy and security. Not the cheapest option here. The US catalog of movies is actually shrinking because the company wants to divert more of its budget away from movie distribution rights to acquiring newer TV shows and original content. In Brazil, however, many of those movies remain in the catalog. Of the top 250 movies of all time on IMDb, Brazil has almost triple the number of titles as the US. Brazilians living abroad can also use Netflix Brasil to take advantage of Portuguese subtitles and dubbing. But subscribers who attempt to access Brazilian Netflix from outside the country are automatically redirected to the local version of the site and are limited to shows and movies from that country’s catalog. To watch Netflix Brasil, you need a Brazilian IP address. An IP address is a unique string of numbers and decimals used to identify your device and its approximate location. The best way to get a Brazilian IP address is to use a VPN. Short for Virtual Private Network, a VPN encrypts all of your device’s internet traffic and routes it through an intermediary server in a location of your choosing. This effectively replaces your normal IP address with one used by the VPN server. In this case, you need to connect to a VPN server in Brazil. Desculpe, tivemos um problema… Erro de transmissão. Parece que você está usando um proxy ou desbloqueador. Desative esses recursos e tente acessar novamente. Note that we only tested these VPNs using a desktop web browser and cannot vouch for whether or not they will work with the Netflix app for smartphones, tablets, and streaming media consoles. NordVPN proves once again to be on top of the game when it comes to unblocking Netflix. It’s unblocked every country we’ve tested so far, and Brazil is no different. The company’s SmartPlay DNS is baked into the app and it works marvelously. NordVPN operates more than 5,400 servers across the globe. Speeds are solid, so you should have no problem streaming high-quality video. NordVPN also unblocks Netflix US, Hulu, HBO Now, and BBC iPlayer, among others. The company holds to a true zero logs policy, which has been put to the test in the past when authorities have raided its servers and served it court orders to access information. All connections by default use military-grade encryption to secure the OpenVPN tunnel. A single subscription allows you to connect up to six simultaneous devices. Best VPN for Brazilian Netflix:NordVPN is our Top Choice. Showing the way with a vast network of servers around the globe. Reliably unblocks Brazilian Netflix with impressive speeds. Also performs well with most other popular streaming services. Top marks for security and privacy. Try it risk-free with the 30-day money back guarantee. PrivateVPN is much newer to the scene than NordVPN, but it’s keeping pace when it comes to unblocking Netflix. We were able to easily bypass the proxy error when connected to the Sao Paulo location. Speeds are excellent, ensuring an uninterrupted high definition video stream. The server selection is relatively limited–currently only a fraction of some of the bigger providers–but PrivateVPN shows that its quality, not quantity, that counts most. It’s not a one-trick pony either. The company hasn’t slacked off when it comes to security and features. You’ll get 256-bit AES encryption and a no logs policy, plus a kill switch and DNS leak protection. One plan nets you up to five simultaneous connections. GREAT VALUE:PrivateVPN is a budget choice. Works well with Brazilian Netflix and other streaming services. Allows up to 6 devices on the same account. Small servers count. 30-day money back guarantee. 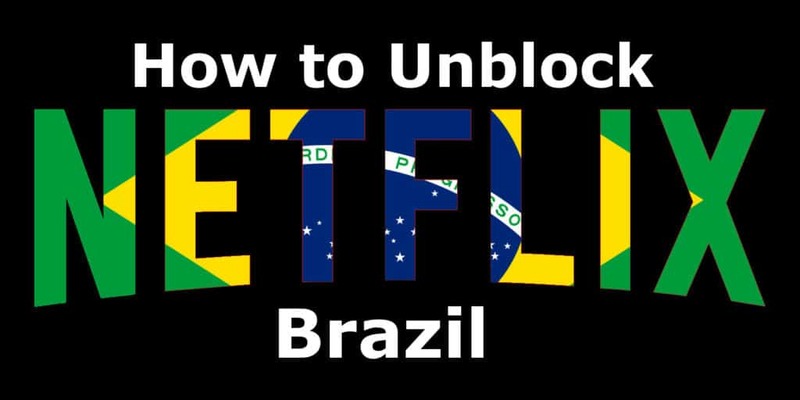 Brazil seems to be the only country where Buffered can still unblock Netflix. Buffered used to be able to unblock US Netflix, but that’s no longer the case. We were able to bypass the proxy ban when connected to Brazil, to our surprise. Buffered is a solid provider with easy to use apps that don’t skimp on speed or security. You should have no problem streaming video without buffering. The company operates servers in over 30 countries. It uses 128-bit encryption, which is strong enough to not be cracked and a bit faster than the 256-bit variant. You can connect up to five devices on a single plan. Apps are available for Windows and MacOS. SIMPLE TO USE:Buffered is a good beginners' choice. Works well with Brazilian Netflix. Handles up to five devices on a single account. Not the cheapest option. 30-day money back guarantee. Read our full Buffered review. Can I use a free VPN to watch Netflix Brazil? It’s highly unlikely that you will find a free one that reliably works with Netflix. Free VPN services simply don’t have the resources to combat Netflix’s proxy ban, which periodically blacklists the IP addresses of known VPN servers. We generally recommend against using free VPN services. They have very limited server selections, cap your data allowance, and restrict maximum bandwidth. Furthermore, free VPNs are known for nefarious anti-privacy practices like logging, injecting tracking cookies into users’ browsers, and inserting ads into web pages. Too frequently, free VPN apps are used to dump malware on unsuspecting users’ devices. Note that the vast majority of VPNs don’t unblock Netflix at all. These are just a sample of the names you might come across in your search. Google caches IP addresses, which can reveal your actual location. Log out of all your Google accounts on the device, including Chrome if you use it. Disable all location services in your browser and on your device (GPS, etc). If you’ve given Netflix permission to see your location in the past, you’ll need to toggle this off in your browser settings. Disable IPv6 on your device. On Windows, you can turn this off in your Wifi Properties. You may need to restart your device afterward. Change your device’s time zone to the provider’s service area and adjust the time to local time. Brazil has three time zones: UTC-2, UTC-3, and UTC-4. If you are connected to a wifi network and have access to the router, rename the name of the wifi network (SSID). Append “”nomap”” at the end (without quotes). For example, “comparitechnomap”. This will opt your network out of Google’s geolocation services. You will need to reconnect your device to the new network in order to regain internet access.